About Outdoor Specialist, Inc | Outdoor Specialist, Inc. Outdoor Specialist, Inc. is committed to providing the Outdoor Advertising Industry with superior fabricated steel products. We design and fabricate to exceed the industry standards. Our staff is comprised of highly skilled, dedicated professional employees who work hard to build the best outdoor advertising structures. Our standards are set high to provide our clientele with not only the best, but ultimately the safest product possible for the Outdoor Advertising Industry. Our engineering firm is similarly committed to designing outdoor advertising structures that offer the unique balance of exceptional quality and outstanding value. 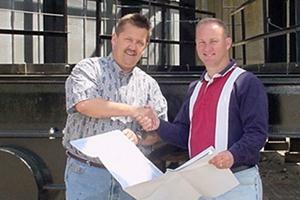 In addition to making a superior product line, we are committed to on-time deliveries. Furthermore, we only provide the best, qualified installers who work with the same attention to detail we expect from our sales, engineering, and fabrication teams. This is our commitment to our clients and the advertisers they represent. A very prominent and well respected individual in this industry once said, “Provide your employees with the necessary means and resources available for them to get the job done the right way – then hold them accountable for providing the company with the results that were expected of them”. We at Outdoor Specialist. Inc. believe in that philosophy and conduct our business daily with that in mind. We stand behind our commitment to design and build the best outdoor advertising structures as well as provide outstanding customer service, before, during, and even after a project is completed. 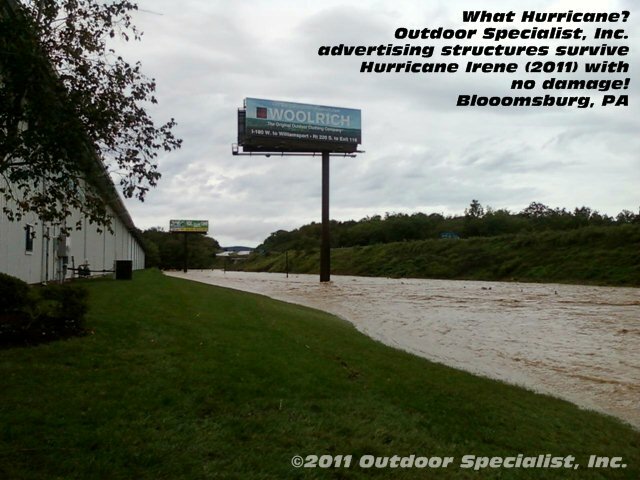 Outdoor Specialists, Inc. We are a family, a team, and experts in outdoor advertising construction.